What are the General Conditions for Schengen Visa and Insurance? The Schengen area is a group of 26 European countries that have a common visa policy. Named after the Schengen village in Luxembourg, this area was established under the Schengen Agreement which was signed on 14 June 1985 and the Schengen Area which was created on 26 March 1995. Upon its establishment, it enabled citizens of the Schengen states to travel freely across the borders of the said states (without passports). This area is the largest passport-free zone in the world. The common visa rules also imply that nationals from other countries are also allowed to travel between its member countries in an easy and less bureaucratic manner. The countries that have signed the Schengen Agreement in 1985 are referred to as Schengen countries and they are covered by the Schengen visa as well. The 26 European countries are: Austria, Belgium, Czech Republic, Denmark, Estonia, Finland, France, Monaco, Gemany, Greece, Hungary, Iceland, Italy, Latvia, Liechtenstein, Lithuania, Luxembourg, Malta, the Netherlands, Norway, Poland, Portugal, Slovakia, Slovenia, Spain, Sweden and Switzerland. The other EU states of Bulgaria, Croatia, Cyprus and Romania are expected to join the Schengen states eventually when they have proven preparedness in cooperation of police forces, personal data protection, visas and air borders. The visa for the Schengen states which is granted in the form a sticker affixed on the traveller’s passport allows him or her to stay in the region for up to 90 days within a period of 6 months after issue. It can be used for tourist or business purposes. While a multiple entry visa provides the traveller an opportunity to leave and return any number of times during the 6-month period, the combined stay should not exceed 90 days. 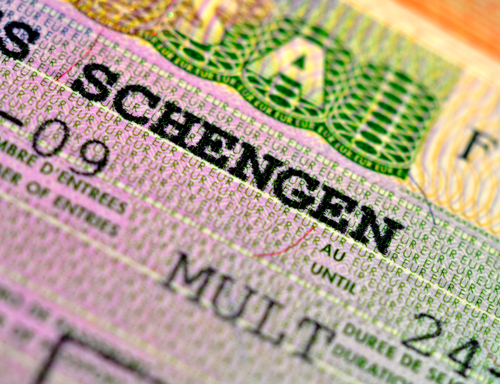 The Schengen visa is an effort to promote a unified Europe. You can submit an application for your Schengen Visa anytime within three months before your planned trip to the Schengen states. If you have a new passport (renewed after expiry of the older one), you will need to provide your older passport while you apply for Schengen visa. The reasons of rejection range from confusion about the durability or processing time of the visa. Another important point to remember is that anyone entering the Schengen area with a common visa requires valid travel insurance to meet the needs of the European Union. The Schengen visa insurance requirements are medical coverage of minimum 30,000 Euros and cover for emergency medical evacuation and repatriation of remains. All applicants need to prove that they can sustain themselves for the duration of their intended stay in the Schengen states. The means of sustenance is then assessed with details on the duration and purpose of stay. Sponsorship or private accommodation also serves as evidence for means of sustenance when travelling to the Schengen states. What are the different types of Schengen Visa? The most common reasons for visiting the Schengen states are business, tourism or visiting family or friends. Visas are issues depending on the purpose of your visit as well. The types of documents required will depend on the type of Schengen visa you are applying for and the Schengen state to which you are applying. Short-stay, single-entry or multiple-entry visa: The most common types of visa issued, they entitle travellers to enter the Schengen states for one or several visits. While the single-entry visa allows one uninterrupted stay for a maximum of 90 day, the multiple-entry visa allows several stays in the territory; however, the total length of the visit should not exceed 90 days in six months from the date of first entry. Transit visa: This type of visa is granted to travellers moving from one non-Schengen state to another, or who pass through any of the Schengen states. An airport transit visa might be issued at a stop-over or transfer between international flights. Some travelers might be required to pass through international transit areas of various airports, but they might not be entering the territory of the country in question. If you are looking for options to apply for a Schengen Visa and need health insurance, read more about the policies that provide coverage and meet your stated requirements.